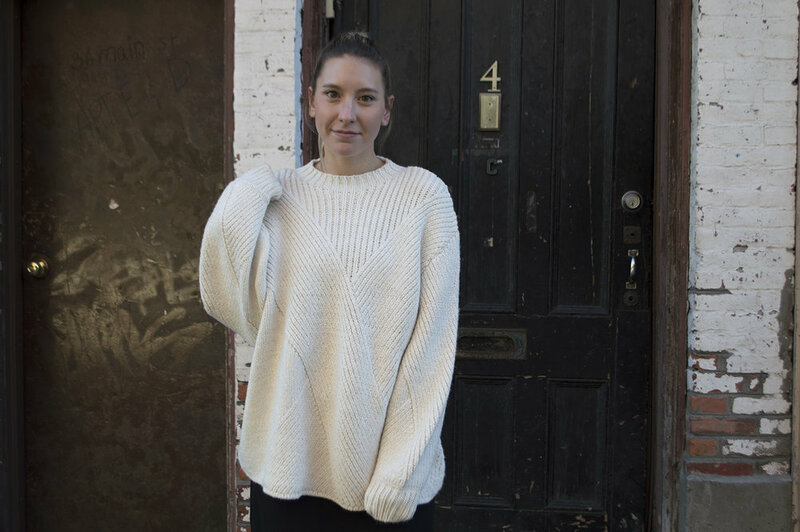 THERE'S NOTHING BETTER THAN COZYING UP TO A SOFT, OVERSIZED SWEATER. ONCE THE WEATHER TURNS, THAT'S PRETTY MUCH ALL I WANT TO WEAR. WHETHER IT'S WITH LEGGINGS, JEANS OR EVEN OVER A DRESS/SLIP LIKE I'VE WORN HERE, IT'S A COLD WEATHER STAPLE. THIS PUFF SLEEVED SWEATER FROM ZARA CAUGHT MY EYE THE OTHER WEEKEND; IT WAS A SURE THING THE SECOND I TRIED IT ON. BUT, IF BUYING A NEW SWEATER FOR THE SEASON ISN'T IN CARDS, TRY WEARING AN OLD ONE IN A NEW WAY. NEVER WORN ONE OVER A DRESS BEFORE? TRY IT, YOU MAY FIND IT'S YOUR FAVORITE WAY TO WEAR IT. PLUS, IT'LL GIVE THAT TIRED SWEATER A BRIGHT, NEW PERSONALITY.